I love officiating weddings. I guide the couple through premarital counseling and assist them in designing a unique wedding ceremony reflective of their individual beliefs. I am available to travel throughout North America and Mexico to perform weddings. Currently reside in Albuquerque, New Mexico. The ritual of baptism and christening is such a beautiful way of marking a sacred moment. I love bringing families, friends, and Godparents together to share their faith traditions and spiritual beliefs with love, light, and connection. Blessing our living and work spaces is an important part of finding spiritual balance. I conduct these blessings which involve the use of incense and prayer throughout the space. These rites are sacred and private, so I do not take or share photos, out of respect for families and loved ones. I help families create ceremony, liturgy, and worship that is unique to their beloved's life journey. Although I am an ordained Episcopal priest, my interest in different faith traditions and ceremony also serves to assist families in preparing funerals and celebrations of life that are unique to their traditions. In addition to providing celebration of life and funerary rites, I offer spiritual counseling for people who encounter the passage of a loved one to the spirit world. 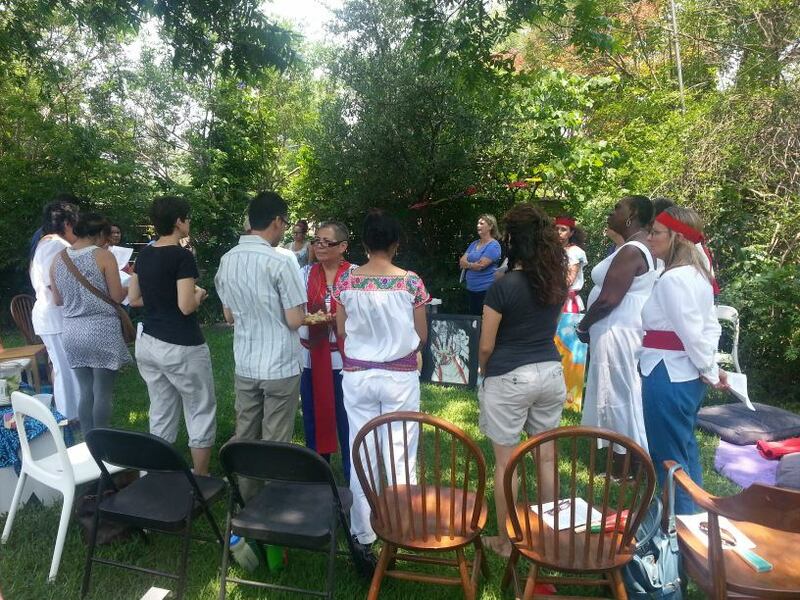 My maestra, Elena Avila, believed that we are all in the process of healing, that we are all healers learning from each other. We all need guides and teachers to help us get to the other side of our struggles. Curanderismo is a holistic approach to wellness. My studies in Traditional medicine have taught me that the sacred medicine of our ancestors can have a positive effect on how one deals with illness, emotional trauma and negative thinking. I conduct one-on-one consultations that take between 1.5 and 2 hours. For those seeking spiritual counseling or support, I offer Skype or phone consultations. These are 1 hour and serve as a limpia (energy cleansing), as well as deep listening and connection time, through which I also provide practical homework for self-care and awareness.